Individual flower pots and planters set colorful accents in the garden and all look at each other on the balcony and the terrace. 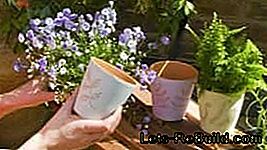 Boring clay pots paint with acrylic paints with creative designs and protect them with clear paint for outdoor use against the changing weather. 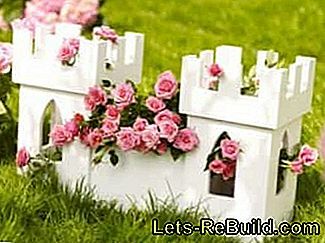 If you are skilled in craftsmanship, you can use multiplex plates to build a flower box in the form of a dreamy fairytale castle. Planted with Rosen turns it into a picturesque Sleeping Beauty castle, which can be perfectly combined with other decorative elements and plants. 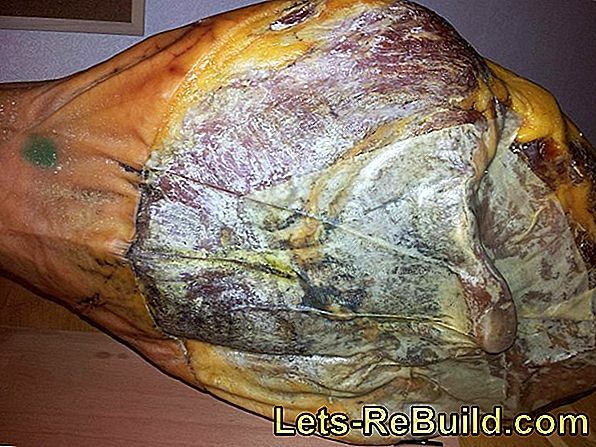 In addition, you can mill durable and elaborate ornaments in planters made of wood or clay. To do this first the contours engraved with a fine knifebefore they are completely milled out. 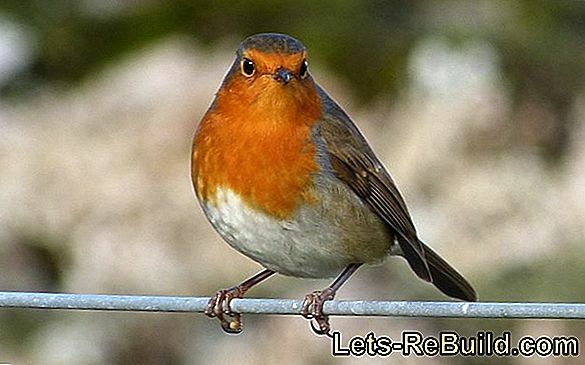 So upgraded they fit in both the garden and on the home windowsills for living room or kitchene. A dreamlike castle with oval windows and battlements attracts everyone's attention in the garden or on the terrace. 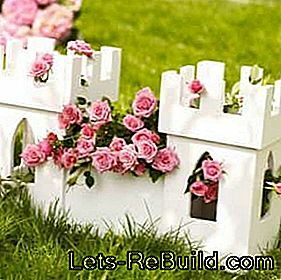 Planted with flowering roses that run over the castle walls, this planter becomes a picturesque Sleeping Beauty castle. Even on the windowsill or table he spreads one romantic atmosphere and can be decorated with other decorative elements. 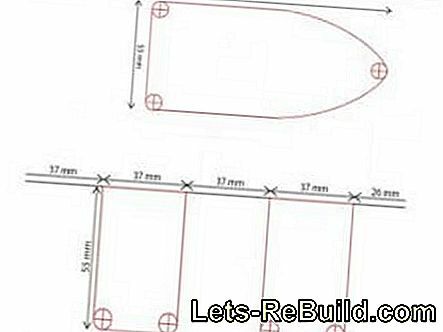 Tip: If you saw through a gate in the middle and build the two towers and the centerpiece larger, children can play exciting adventures in this self-built knight's castle. First, cut out the template and transfer the markings to the multiplex panels in pencil, in this case MPX boards of dimensions 10 x 17.4 cm and for windows those of dimensions 15 x 25 cm are used for Burgzinnern. Make sure that the castle windows are centered on the plates. Transfer dimensions from the template to the MPX plates. Tip: For larger planters, choose larger MPX plates. Then, using a cordless screwdriver and a 8 mm wood drill holes on the marked places drilled - at the windows in the corners within the mark to saw out in the following step. Pierce markings for battlements and windows. In the next step you saw out with a jigsaw the windows and burgesses of the new planter. 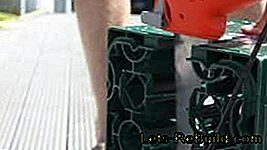 Subsequently, the edges with a Multi-sander or sandpaper smoothed, The new planter is then assembled by placing the four tower plates together and marking the locations of the holes. Now the four plates are screwed together with 4 x 20 mm wood screws. For the Burgzinnen draw a 2 cm wide overlap on the longer Insert page according to template and secure with 4 x 20 mm wood screws at the top of the tower. 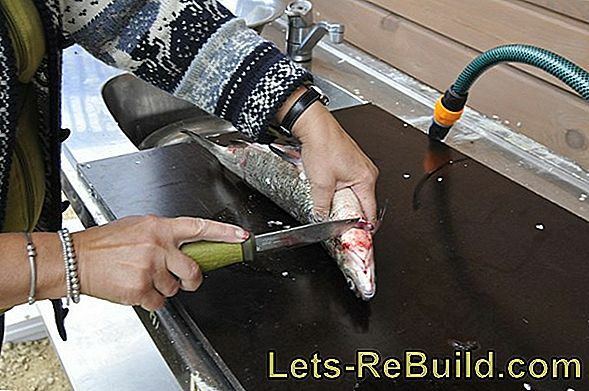 Finally, the holes of the sunk screws are filled with wood filler and all edges are processed with the multi-sander. Saw out the windows along the marking. 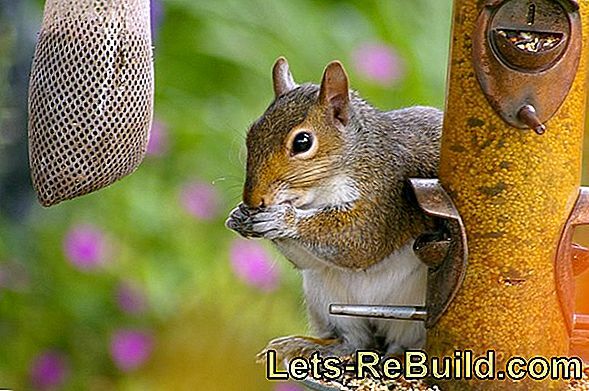 Screw the battlements and window parts together. Finally, the flower box may be assembled. 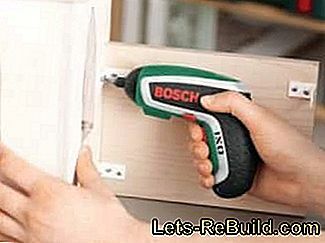 Using the cordless screwdriver, secure four angles with 8 x 12 mm wood screws at the edge of the center piece (this is one of two 15 x 20 cm multiplex panels). Everyone Angle comes with two wood screws each screwed on the middle piece. Then screw the Angle of the left side with the tower and repeat this step on the right. Thereafter, the second center piece is also attached to the towers with four angles and eight wood screws. Connect the towers and the center piece at an angle. 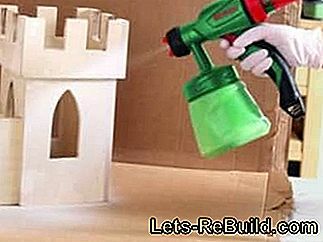 At the end of the craftwork, the castle is either with a diluted acrylic paint sprayed or - for outdoor use - treated with a primer before a weatherproof paint is applied. After complete drying, the fairytale castle planter can be planted with roses. In the garden you should resort to a primer and weatherproof paint. The new planter in the form of a fairytale castle. Conventional, unglazed clay pots can be painted in bright colors and patterns. Who wants to give a new look to monotonous brown flowerpots, can simply redesign and paint them with a brush and colors. 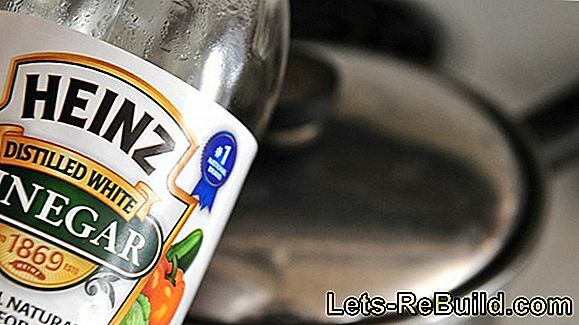 For this you use on best acrylic paints, which after drying with clear varnish coated when the terracotta pots are supposed to stand outdoors. Also suitable are stencil inks and solvent-free emulsion inks. As an alternative to the clearcoat, the planter can after the Painting also with elephant skin paint, which makes the ink layer less sensitive to water and dirt. Decorate the flowerpot with one or more opaque colors. In the first step, apply the desired shade with a brush and let it dry. 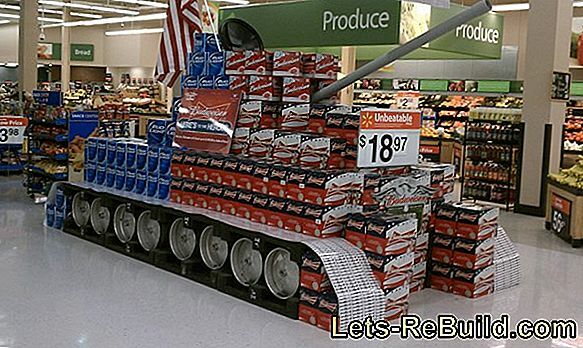 Depending on the color, it may need to be painted a second time. After he is dried, with a Pencil a pattern of your choice freehand or with a template and tracing paper recorded. 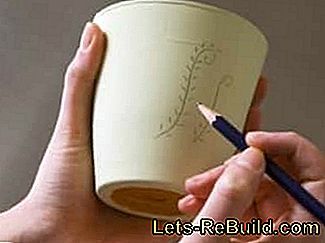 Decorate boring pots with abstract patterns or concrete motifs. You can either use this ornament with one tighten a fine brush and any color or you can mill the lines with a diamond-tipped cutter into the wall of the clay pot. Then the dust is removed and the pot is wiped with a damp cloth. So that individually designed flower pots the garden season on the terrace or on the balcony, protect the motifs with clear varnish for outdoor use - please use the varnish only outdoors because of the pungent odor. 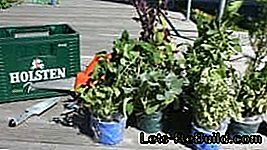 After drying, room and other plants can be placed in the planter. With a milled pattern, the terracotta color shines through and gives a nice contrast to the applied color. 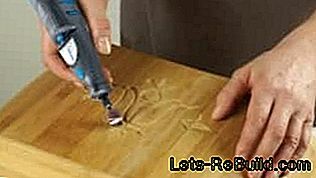 Image material courtesy of Dremel. A noble flower box with silver engraving. Even planters for the terrace or the balcony can be the adapt to individual taste, for example with a noble silver engraving. 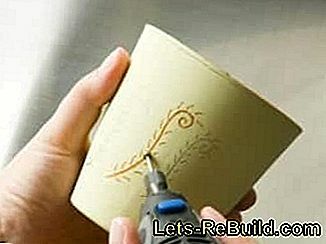 First, use a pencil to draw any picture or pattern on the planter. 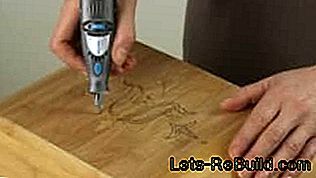 Then use the Drill Chuck and Engraving Knife in the Dremel® 7700 to carefully retighten the lines. 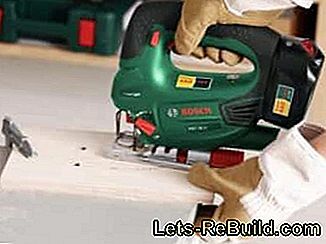 Be sure to wear one when milling Safety goggles and a mask to avoid breathing in the fine wood chips and eye injuries. 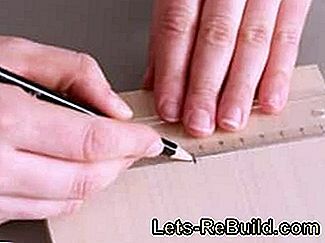 Now cut out the wood inside the sketch and make sure that only the top layers of wood are removed with the milling cutter. If you mill too deep, you will get small holes. 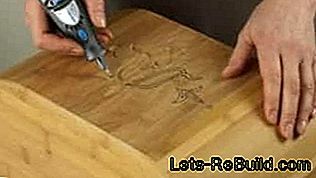 First, draw the contours with an engraving knife. Then mill out the pattern in the wooden planter. 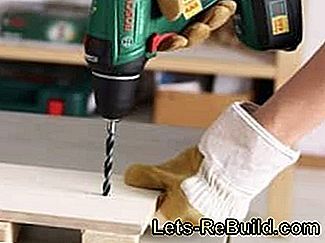 Now do that fine-grained abrasive belt and smooth the frayed edges, When grinding, work from the outside in and remove the fine dust in between. This is followed by fine grinding with the mandrel and the fine grinding wheels. In the end, the pattern should have a smooth surface and clean edges. After sanding, the entire sanding dust is thoroughly removed. 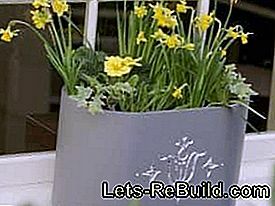 So that Plant container survive the weathert, it is primed and painted with a suitable for wood weatherproof paint. - The decoration remains free. In the last step, apply donut milk according to the manufacturer's instructions Motif and work the silver leaf carefully with a brush on. After complete drying, the decoration is treated with clear varnish for outdoor use. Finally, sand the milled motif smoothly. 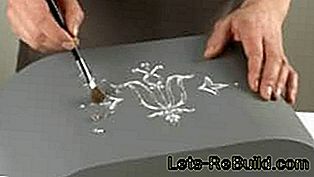 Use a brush to apply the make-up milk and fill the motif with silver leaf. An empty beer crate becomes a planter for the balcony railing. 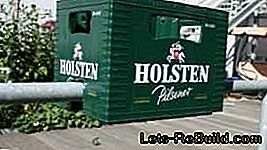 The bottom of the beer box will later be put on the balcony railing and should have a good stop there. First, measure the width or thickness of the railing. 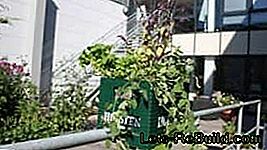 The box can be planted with various herbs and flowers. The box is then placed on the floor with the open side down and the opening is recorded centrally at the bottom of the left and right box walls - the narrower box parts with the handles, Cut out both cutouts one after the other. Saw an opening for the balcony railing at the bottom. For a continuous opening, then saw from the cut straight through the inner box area through to the opposite opening so you have a "channel" receive. 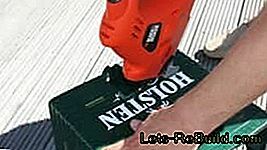 If you want to give the balcony box an individual look, treat the beer crate first with a plastic primer before it can be painted with acrylic paint in any color. Likewise on the other side. Then saw through a continuous opening for the balcony girder. The planter should sit firmly and smoothly on the railing. After that, the Crate first on the balcony railing set. She should have a firm hold without being too crooked. 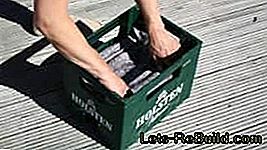 Tip: Do the wobble test - shake the beer crate several times to see if it still sits firmly on the railing. 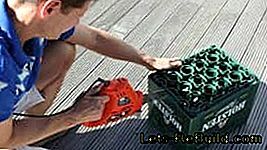 To protect against storms, you should secure the beer box after planting with additional attachment measures on the balcony railing. Next is the Box lined with garden fleece and the supernatant placed over the edge of the box. 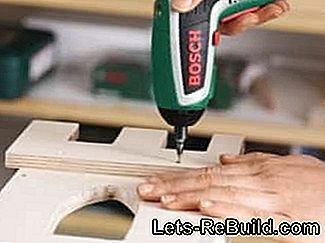 Cut protruding pieces flush with the edge using a cutter. If you like, you can fix the fleece on the edge of the box. The balcony box with garden fleece lining. 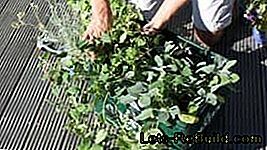 Cut off the protruding fleece and fill the box with a layer of gravel and soil. In the final step, a thin drainage layer of gravel is poured in and the beer crate filled with soil. 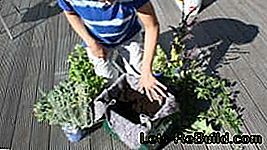 Now you can plant balcony plants, herbs or flowers as you like Cautiously remove plants from the potput in a small planting hole and watered the soil well. Then the balcony box can be placed on the railing and additional fasteners can be fixed. 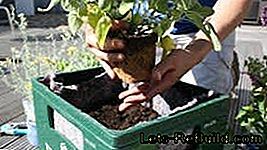 Remove several small plants from the pot and plant. 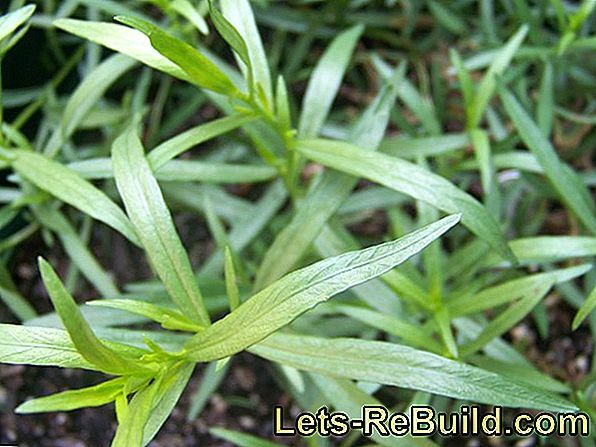 Cut off spreading balcony plants with pruning shears. 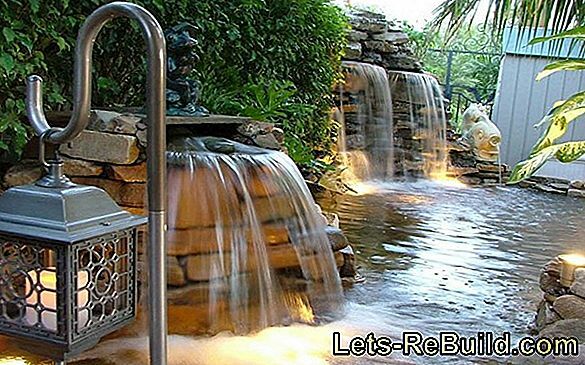 Idea and images with the kind support of Garten-Schlueter.de. 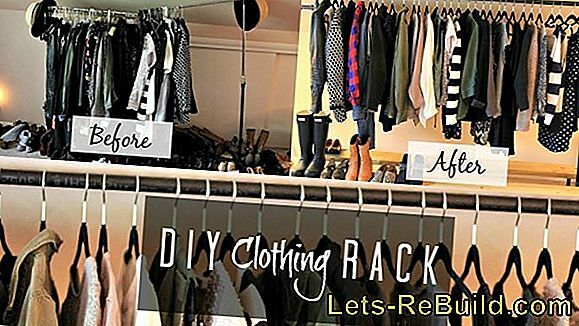 It is not difficult to build a clothes rack yourself. 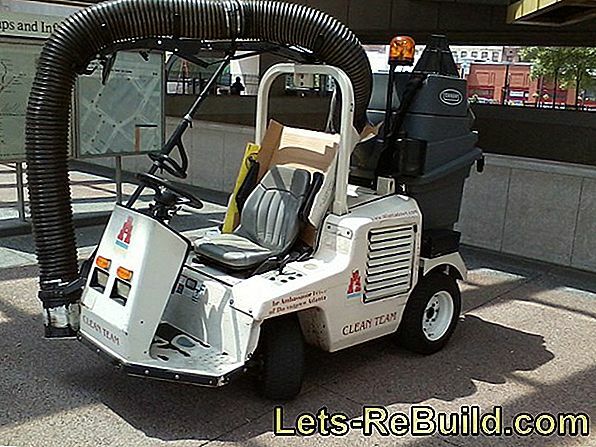 It can be set up as a mute servant or in the entrance area as a cloakroom. 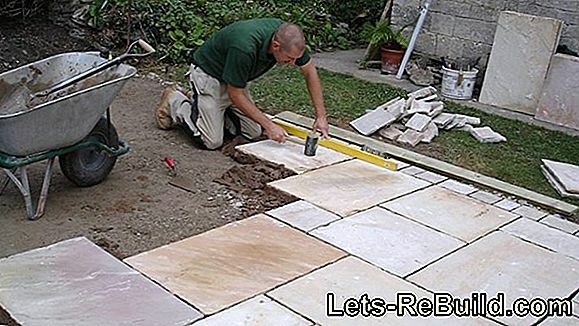 You can find out how to clean paving stones and effectively remove verdigris, weeds and co. In our guide. 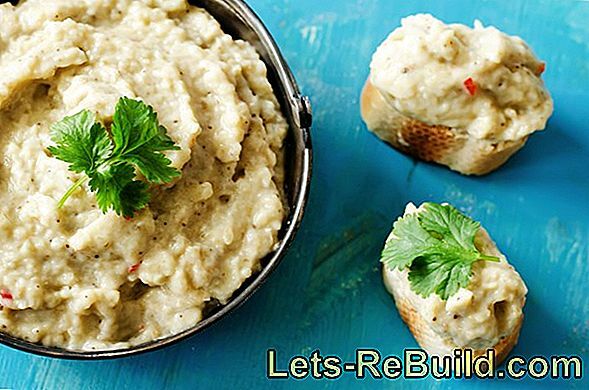 Delicious and healthy recipes with vegetables from your own garden. The alternative to potato pancakes: vegetable rösti. 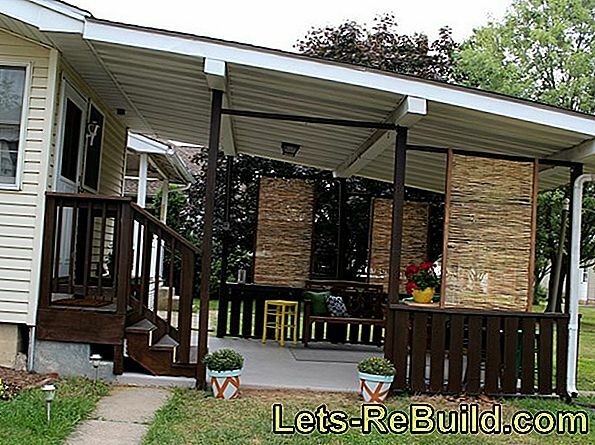 In our construction manual we show picture by picture how to build a wooden screen yourself. Please note, however, the maximum height allowed. The dill herb is native to the orient, but today is native almost everywhere. 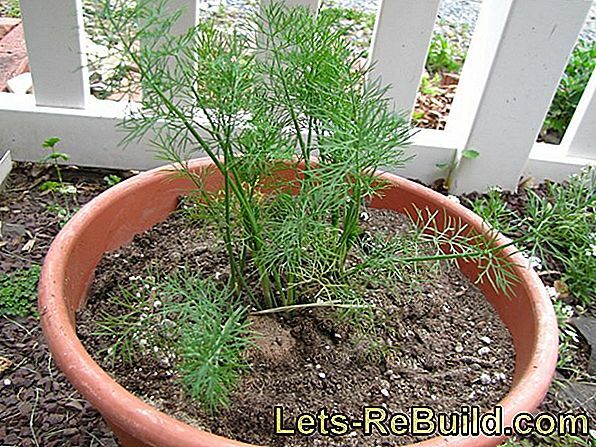 You can plant dill in a pot, or sow in a row bed. 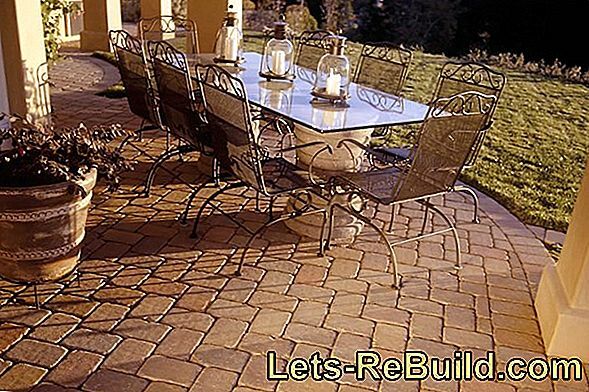 After the long winter, the wooden surface must be treated outdoors. We give tips and inform about permanent protection possibilities. 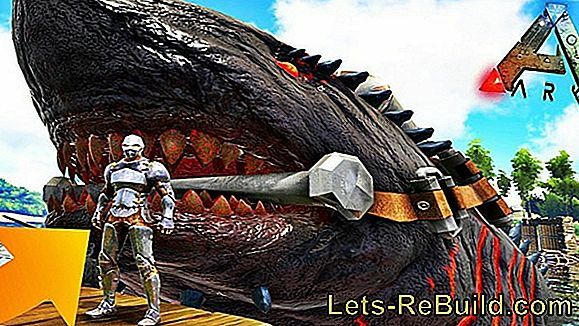 ➤ current anemometer comparison 2018 on lets-rebuild.com. Compare now and order top anemometer online!